We know the feeling...we all want our kids to fall in love with the freedom and joy of cycling. We want to ride with a smiling face next to use rather than watch our mini friends stuggle with an oversized, heavy, low quality toy. With Orbea's MX kids lineup, finding a real machine like yours that is scaled down for small riders becomes a reality. 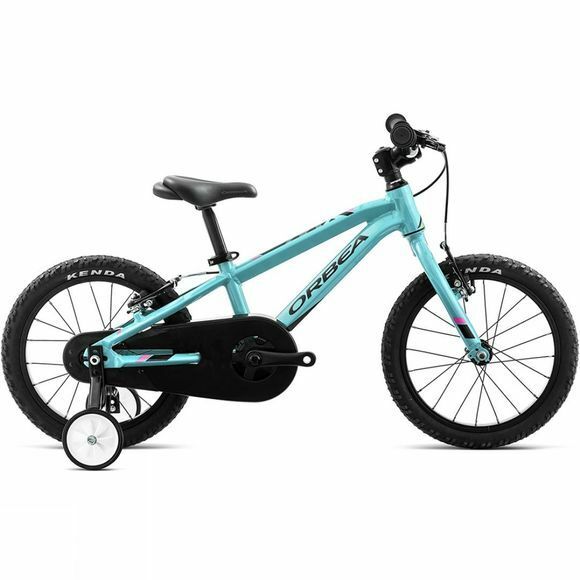 MX kids bikes are amoung the lightest on the market and make use of smaller brake levers, saddles and pedals because comfort, control and fun aren't only for adults. Fork - Orbea Hi-Ten 16"
Wheelset - Orbea Alu 16"